The new NUS PhD-MBA, Asia`s first PhD-MBA, aims to attract and train talented science and engineering students who have the potential to create and lead technology companies. The programme is jointly hosted by the NUS Graduate School for Integrative Sciences and Engineering and the NUS Business School. Students develop their research skills by doing a PhD in any scientific or engineering discipline, choosing among a wide range of subjects, projects, departments and advisers. Concurrently they develop their business acumen by working on an MBA. Internships in technology companies provide practical technology business training. 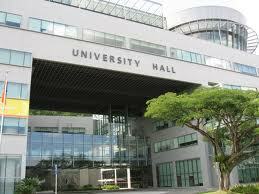 NUS is a well ranked global University and is located in Singapore, in the heart of Asia. Singapore has long been an excellent place in which to do business and has in the last decade invested heavily in research and development, building up a world class research infrastructure. Singapore offers access to some of the world`s largest and fastest growing markets. A keen, open and independent mind, common sense, appreciation for the importance of science, technology and business, the ability to act and get things done alone and in a team are hallmarks of students suitable for the NUS PhD-MBA. Valuing the wide range of backgrounds of potential students, factors that the recruitment committee will weigh when making decisions on admissions into the NUS PhD-MBA are: very good academic records, good results in standardized tests, research experience, industry experience, completed internships, involvement in startups and other business and entrepreneurial experience, as well as good English. The application deadline for the August 2011 intake is 7 January 2011. Women and men of all nationalities, with an undergraduate or Masters degree in any scientific, engineering, maths or IT discipline, previously awarded or expected in 2011, are eligible to apply. Demikian kami sampaikan tentang PhD-MBA Scholarships, National University of Singapore semoga informasi tentang PhD-MBA Scholarships, National University of Singapore ini bermanfaat.